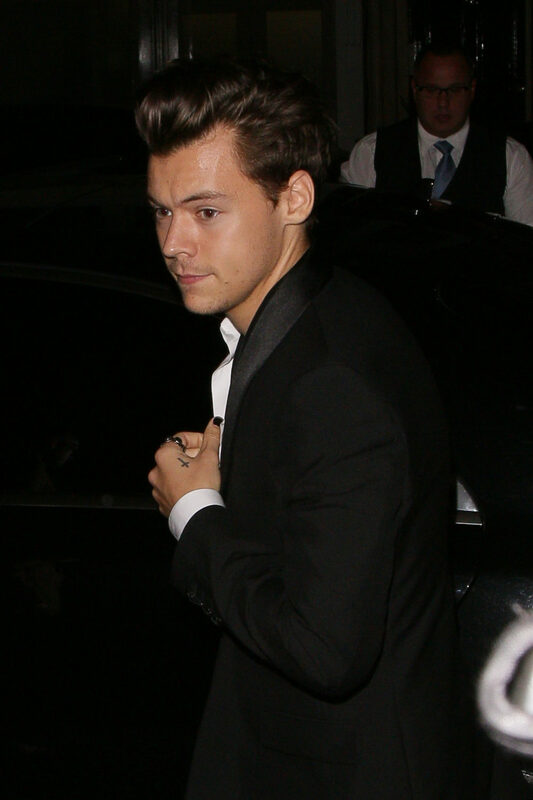 In boy band members turning goth news: the shaggy-haired, former lead singer of One Direction, Harry Styles wore black nail polish to a an event in London on Thursday night, and the internet is already breaking with love for his manicured look. 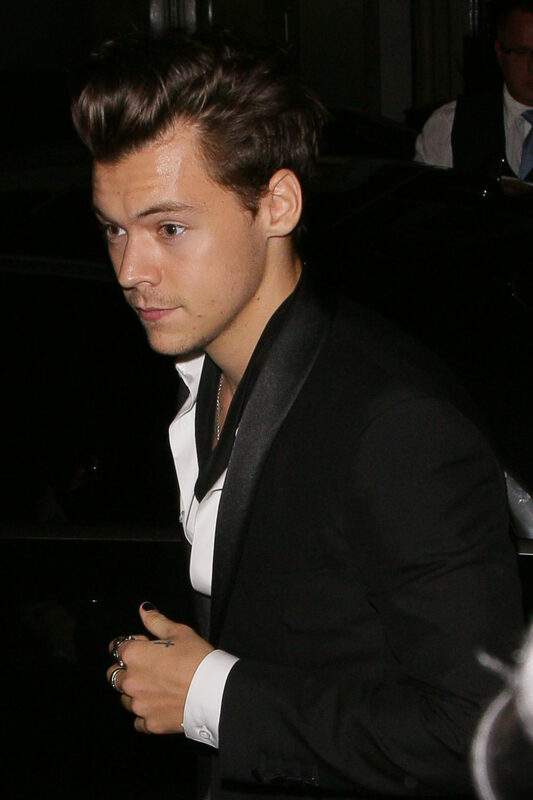 The 22-year-old boy band Casanova was spotted wearing a sleek black suit with a seductively unbuttoned white t-shirt, but the focal point of his outfit were his black nails. His hair was perfectly gelled, giving off Teen Wolf vibes, which paired well with the mall-goth nails. Styles also has a notable ring collection that draws even more attention to his polished hands. 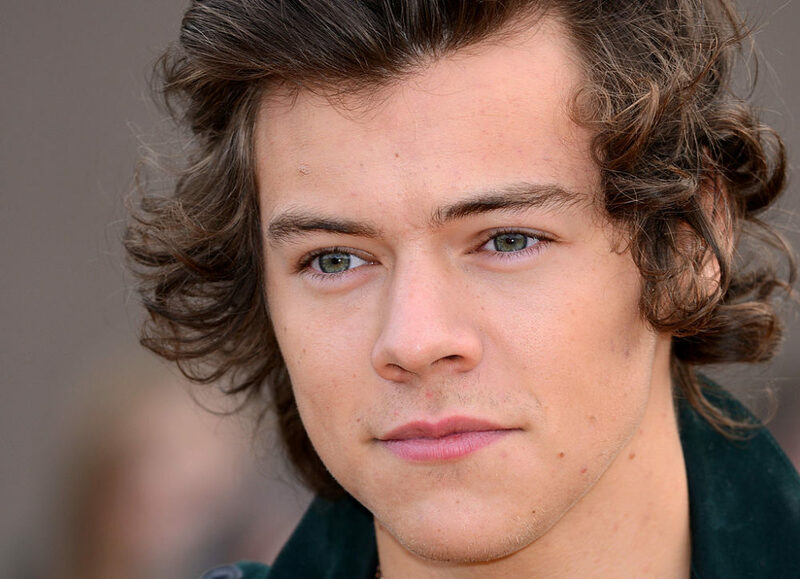 Of course, once the loyal internet fans of Styles caught wind of his black nails, Twitter was on fire with heart eyes, and likely the long scribbling of love notes from fan girls (and boys) across the world. Has the singer heard the desiring cries of his fans, and will he continue the manicure trend?! 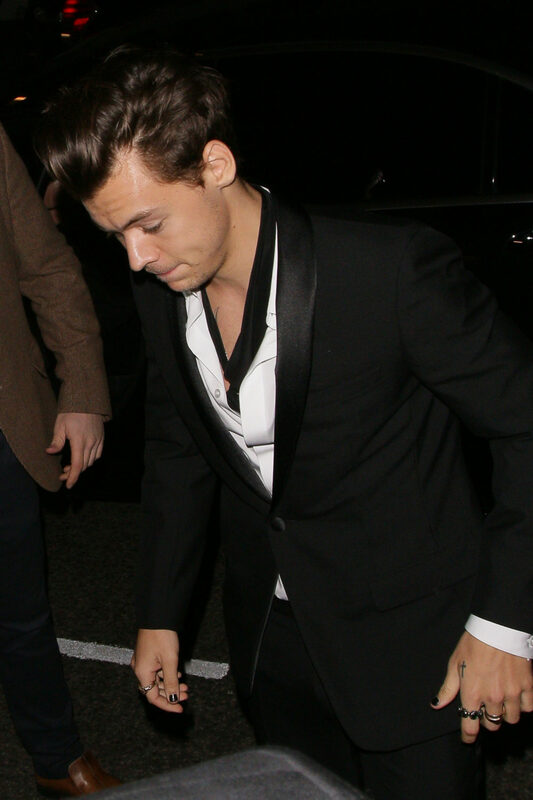 Is Styles channeling some ’90s-era Johnny Depp steez, or he is just giving the whole “male polish” trend a whirl? If we’re lucky, we’ll see Styles truly commit and show up at the next event with long bejeweled nails.